The Champion Sports All Purpose Backpack allows you to carry and organize your sports equipment and personal possessions. 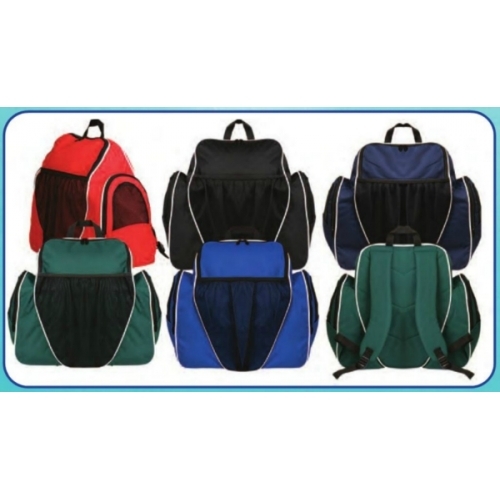 This large bag is made of 600 Denier Polyester and features a top loading compartment with a U-shaped opening. There are several handy compartments for your equipment including a large ventilated pocket for footwear, a front mesh pocket that holds any size ball, and a small inner pocket and key tab for holding personal possessions. The bag also features padded, adjustable back straps and a web looped carrying handle for comfortable transport.